One of our biggest selling chargers, waterproof and worry free charging. Will not overcharge your batteries! 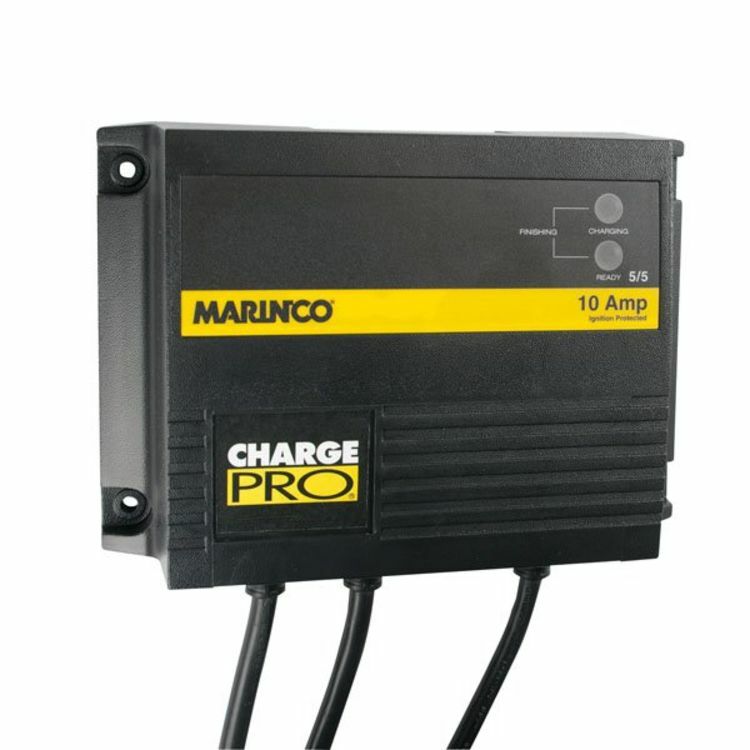 Marinco ChargePro 28210 10 amp 3-stage fully automatic electronic dual output charger is designed to recharge 2 batteries, either 24 volt series or 2 separate 12 volt batteries. Each battery receives a dedicated maximum 5 amps of charge current. Output leads may be paired to one 12 volt battery for a total of 10 amps of charge current. Do you own the 28210? Please, tell us what you think about it. It helps us provide you with better products. Please note that it may take up to 72 hours for your review to appear.